Marathon Power Block Selector Tool » Electronic Salesmasters Inc. 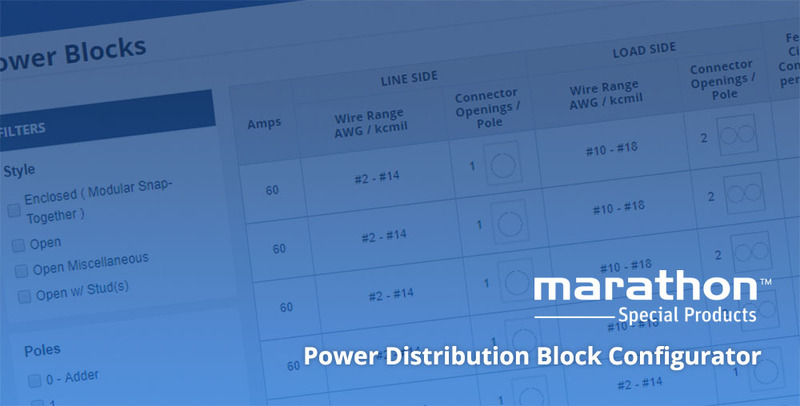 This configurator is designed to enable engineers and sales professionals to quickly find a power distribution block to meet application needs. We are honored to serve as a manufacturer’s rep for Marathon Special Products, which has served the electrical/electronic component industry since 1955. Marathon is an industry leader for supplying power blocks, terminal blocks, and fuse holders in North America.